The Selecter is a precision adder using a 5-way switch to choose the desired output. The output can be any one of the three inputs “A”, “B”, “C” or the summation of “A+B” or “B+C”. When the “A” or “C” inputs are not patched, a voltage of -1V and +1V will be applied to their inputs respectively. 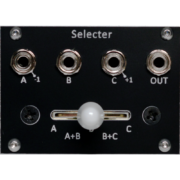 This way the Selecter can be used to shift a CV sequence inserted into the “B” jack down an octave “A+B” or up an octave “B+C”. 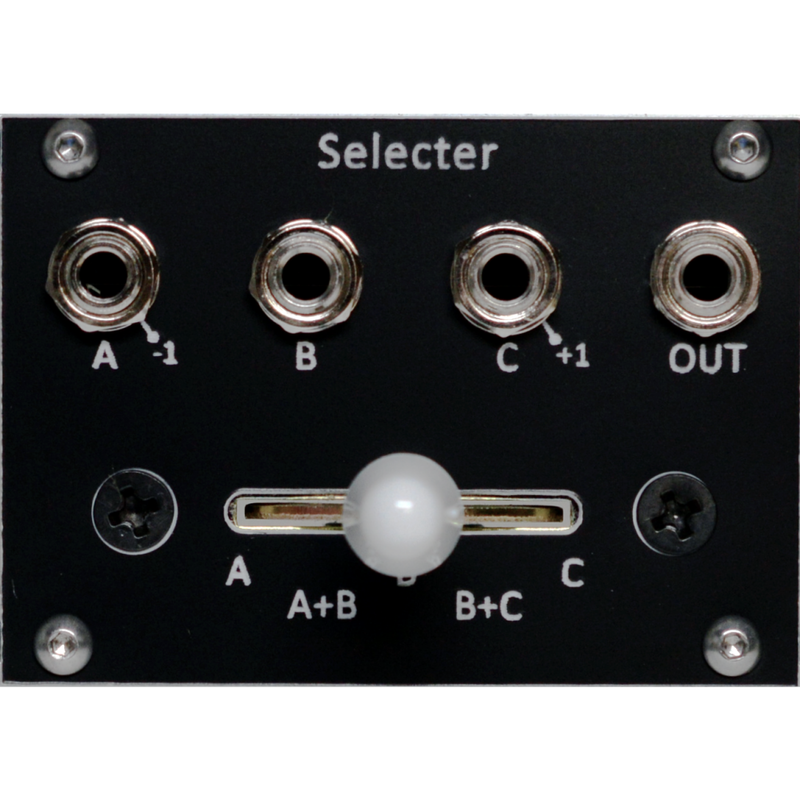 The Selecter uses precision Op Amps, 0.1% resistors and an Oak Grigsby 5-way switch and will typically maintain accuracy of +/-0.001V.